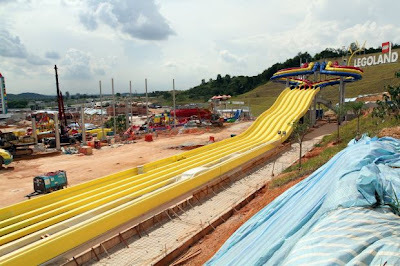 Promise of fun: The Legoland Water Park in Johore, which is almost 70% completed, will have more than 20 water slides and over 70 Lego models. 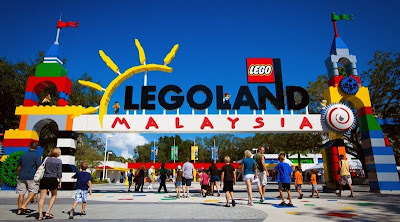 MALAYSIA: On Oct 21, visitors to Legoland Malaysia can enjoy a splashing good time when it unveils its new water park. A first in Asia, and the largest in the world, the Legoland Water Park will have more than 20 water slides and over 70 Lego models among its attractions. Its general manager Siegfried Boerst said the park would also be the only one that would have a second entrance so that visitors could visit the water and theme parks separately. “It will provide further savings for visitors,” he said. The water park, covering an area equivalent to 50 football fields, is 70% complete. It contains about 15,000 models made from over 60 million Lego bricks. “The water park will feature slides, wade pools, rides, an interactive water-play structure as well as a Build-A-Raft River where families can build their own raft using soft Lego blocks,” Boerst said at a media briefing here yesterday. About 1,000 visitors are expected daily at the water park, which has a smaller capacity than the theme park. 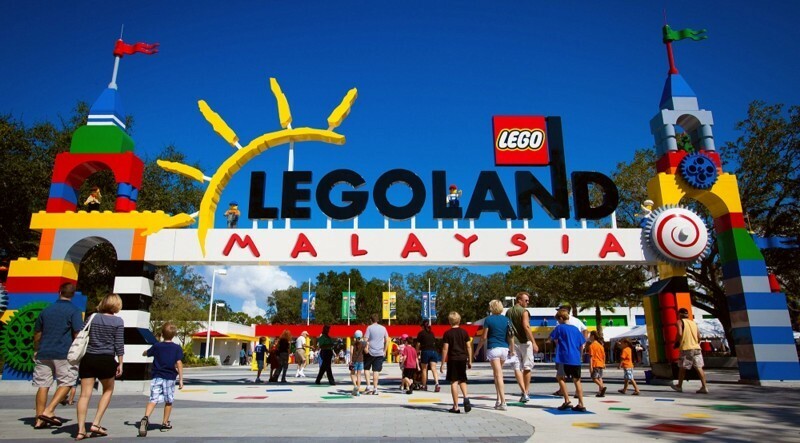 “It is also the second installation of the Legoland resort after the theme park’s opening last September,” said Boerst. Other than domestic visitors, he added that the park and hotel were expected to attract more tourists from Indonesia, Thailand, Hong Kong and Australia. The park is designed for families with children aged two and above, and they can buy one of the three categories of tickets: theme park only, water park only or the combo ticket, which allows free movement between the first two options.